- 3 x 10ml/ 0.5 fl.oz. Your skin can react immediately to harsh external factors, so it's important to develop a routine that works for you. 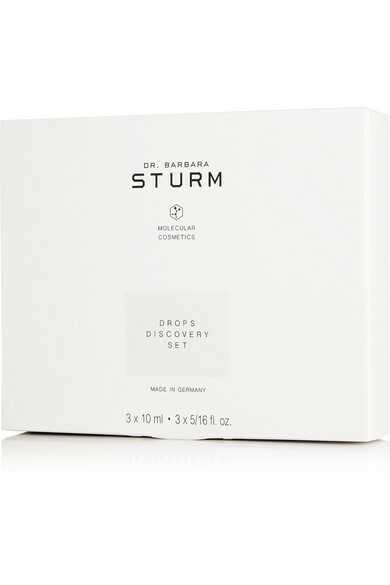 That's why Dr. Barbara Sturm's Drops Discovery Set is perfect - it's sized for traveling so you don't have to compromise on your regime. 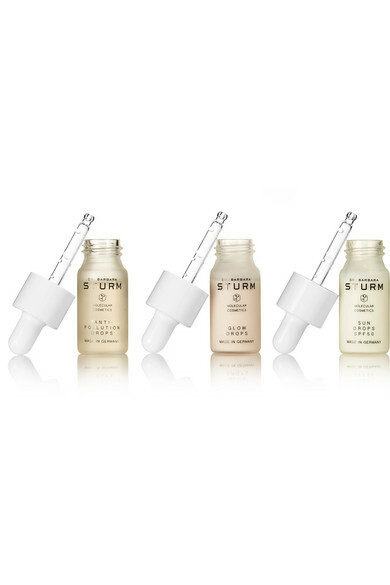 The kit includes three 10ml bottles of the brand’s essential 'Sun', 'Glow' and 'Anti-Pollution' Drops. 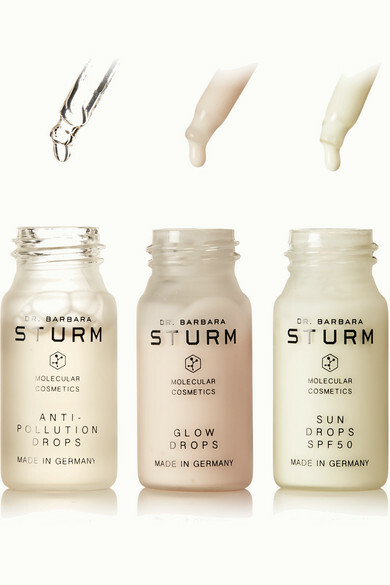 The first protects the skin and promotes the regeneration of damaged cell structures, the second helps smooth irregularities and helps tired skin glow and the last boots moisture and supports the skin's barriers against environmental stressors.